If you’re a real estate agent, you’re no stranger to being busy. You’ve learned time management and task prioritization the hard way. You’re in the habit of taking charge of your week, and using every spare moment of your workday to learn something that will further your business. But let’s face it, some tasks in real estate can be tedious. (Lead management anyone?) What if you could stay current on the latest happenings in the industry and have fun doing it? Our idea of the perfect mix of entertainment and education? Real estate podcasts, of course! 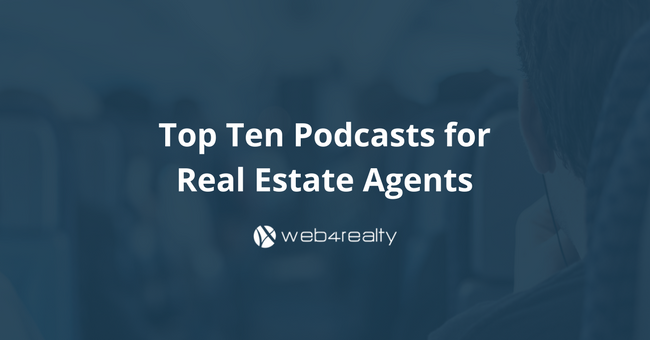 We’ve compiled a list of some of the best podcasts for agents to learn from and be entertained by. Continue reading to get our take on some of the most interesting thought leaders in the business. 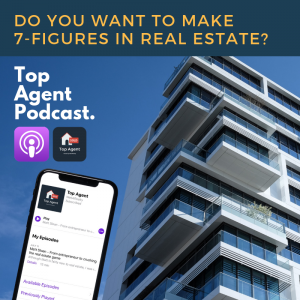 In this podcast, Kosta Panagoulias (co-founder of Web4Realty) speaks to top performing real estate agents across Canada and the US, to discuss their tips, successes, and marketing strategies. Get deep insights from top agents, learn what’s working for them, and even get a glimpse into how much commission they’re earning! If you’ve been dying for some stellar self-motivation tips, look no further than Tim and Julie Harris’ podcast. Their episodes focus on essential business skills agents need for success, business planning and positive mindset strategies. In their aptly named podcast, Adam and Matt Scalena discuss the state of Vancouver’s housing market with a variety of expert guests. If you’re interested in learning more about how one area is affected by the market, this is the show for you. Founder of Inman News, Brad Inman offers high-level overviews on the ever-evolving state of the real estate industry in his podcast episodes, as well as tips on business strategy and global market trends. This podcast is essential for anyone interested in investment properties. Property management and house flipping are among the subjects covered on Dorkin and Turner’s wildly popular podcast. Aside from being a billion dollar agent and bestselling author, Pat Hiban hosts a podcast that boasts interviews with some of the top-producing agents in the U.S., as well as rookies. Have a listen to learn about everything from solo agenting success to prospecting. Even though Kelly Mitchell targets women in business in her online marketing efforts, her forthright approach to her podcast episodes and brand holds mass appeal. She often discusses the impact of technology in real estate on her show. Real estate coach Toby Salgado’s podcast is all about teaching agents how to grow their business with a focus on the power of radio to reach more targeted leads. 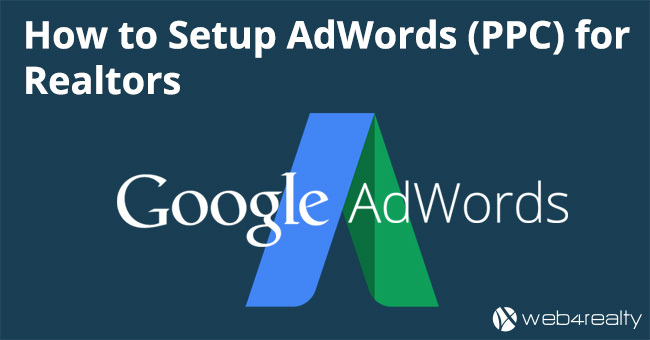 His episodes cover closing techniques and marketing hacks. Coga’s website is filled with online marketing advice relevant to the current trends in the business. He is relatable and funny and subscribes to hard work over easy success. If only every neighbourhood guide was as entertaining and unique as Giguere’s podcast! Her episodes dive into what makes Tacoma special, while also shedding light on things like the city’s politics and the park system. Ontario-based Ryan Smith started his podcast and blog around the idea that agents and brokers could focus in niche markets and generate more business for themselves. His episodes provide expert advice on selecting a niche and making it work for your business needs. 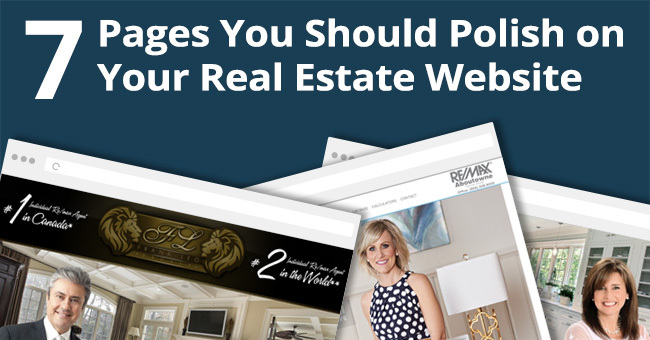 Interested in getting a new real estate website or CRM? 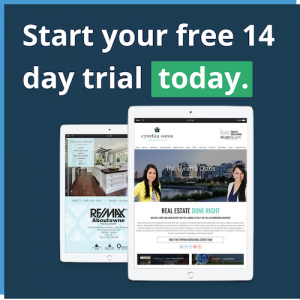 Try out the best real estate website and CRM platform today! No credit card required.